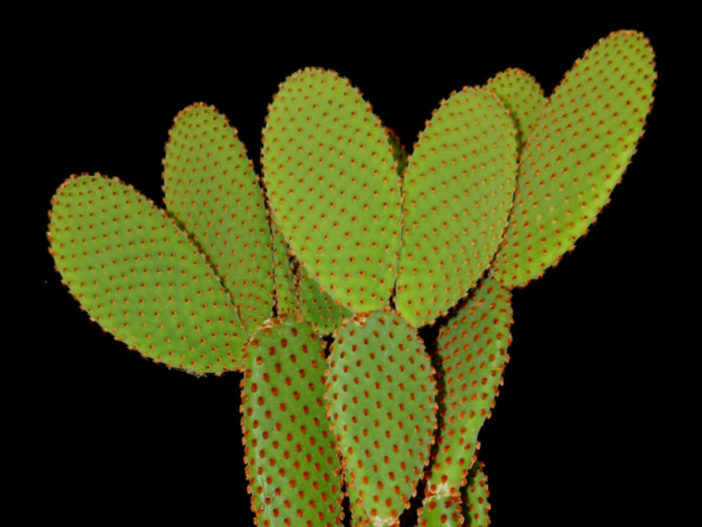 Opuntia microdasys subsp. rufida (Engelm.) U. Guzmán & Mandujano. 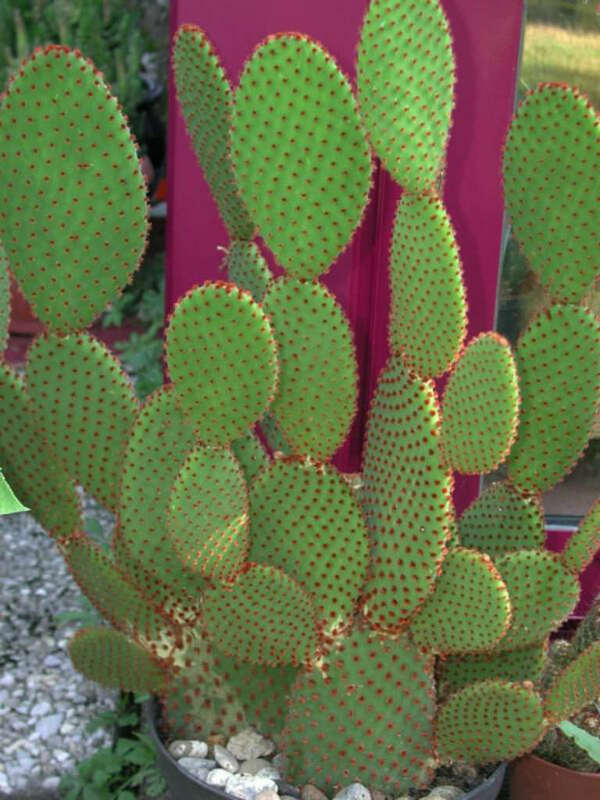 Opuntia microdasys subsp. 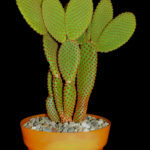 rufida is an upright and spreading, much branched cactus up to 5 feet (1.5 m) tall. Stems are jointed into fleshy, rounded pads that are various in color, from lucid purple when young to glacous blue with age. 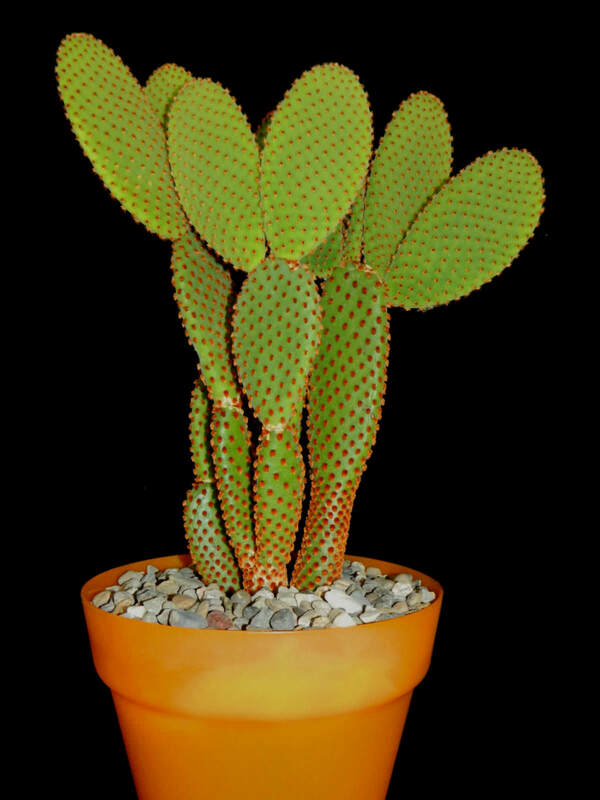 The glochids are densely arrayed, grayish to reddish brown, rarely with spines. 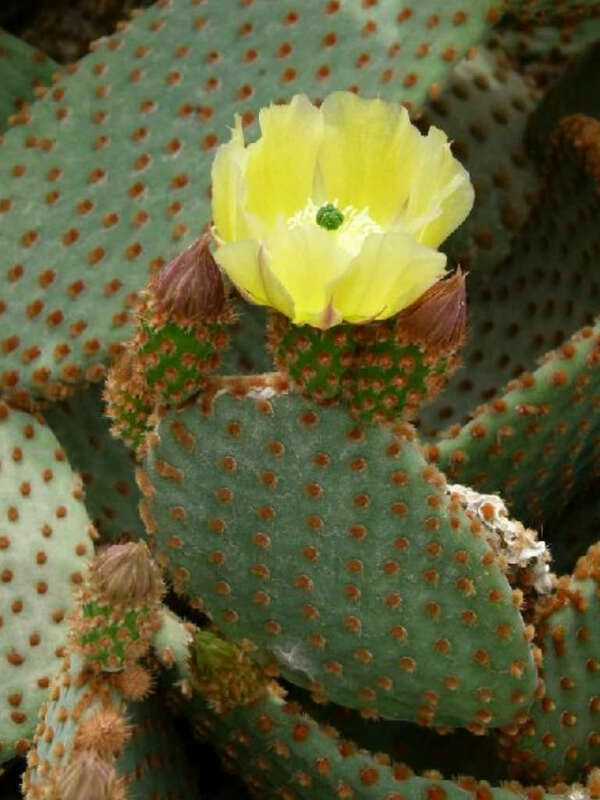 The flowers are yellow to bright orange-red and up to 3 inches (7.5 cm) in diameter. The fruit is rounded, fleshy, with very short spines, yellow-green ripening to red and 1 inch (2.5 cm) long. 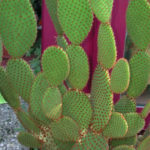 Opuntia microdasys subsp. 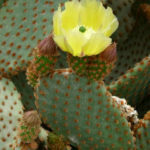 rufida is native to Mexico (Coahuila, Chihuahua) and United States (Texas).